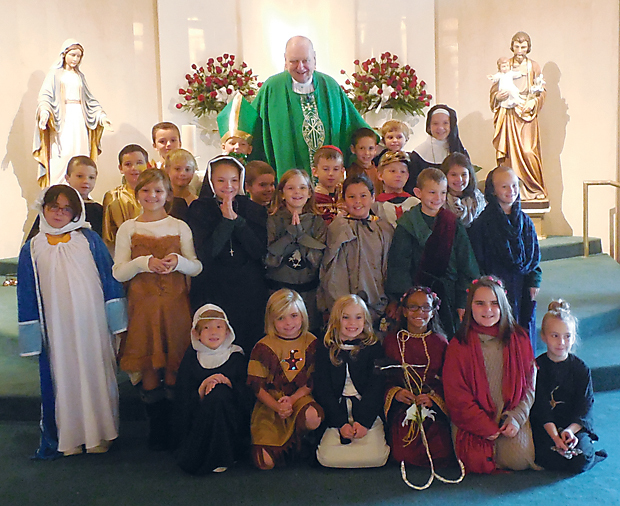 The second graders at St. Christopher School in Northeast Philadelphia completed their annual research assignment Oct. 30 by dressing as the saint of their choice and wearing a costume during a Mass at the parish church, celebrated by the pastor, Msgr. Joseph Garvin. The learning activity integrated different curricular areas and allowed the students to do and show what they learned. Over the past few weeks the students selected a saint, conducted research, created a report, designed a costume (perhaps with help) and delivered the report in the character of the saint.